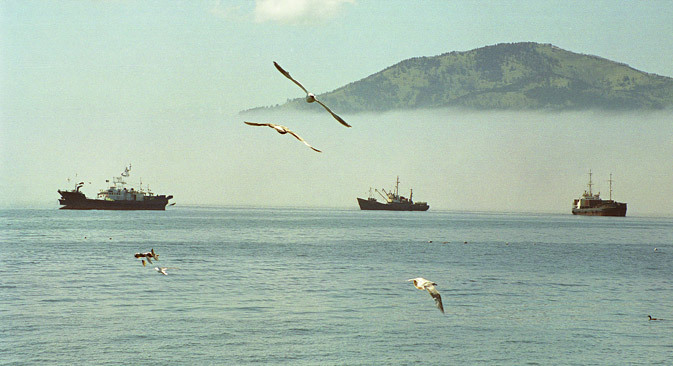 Fishing ships near Kuril Islands. The Russian military are still present in the "Northern Territories". The Japanese Defense Ministry says that that the zone of activity of the Russian armed forces is increasing, including in the area of the Southern Kurils. This opinion is stated in the ministry’s annual report (White Paper) published on August 2. On the situation in Ukraine, the report says that "the results of changing the status quo are taking root." The report authors also state "the lack of progress in the implementation of the Minsk agreements and the conflict’s dragging out." In addition, the Japanese Defense Ministry expressed concern over the growing threat, allegedly associated with Russia actions, including in Europe.